Duthie Park Bowling Green Play! Come and join us to Make a stick book, a stick man or a Flower “printing” (hapa zome). Description: Toss a Caber, fling a Neep or hurl a Welly Boot – it’s time for Wynford to throw our own KIDS MINI HIGHLAND GAMES!!! 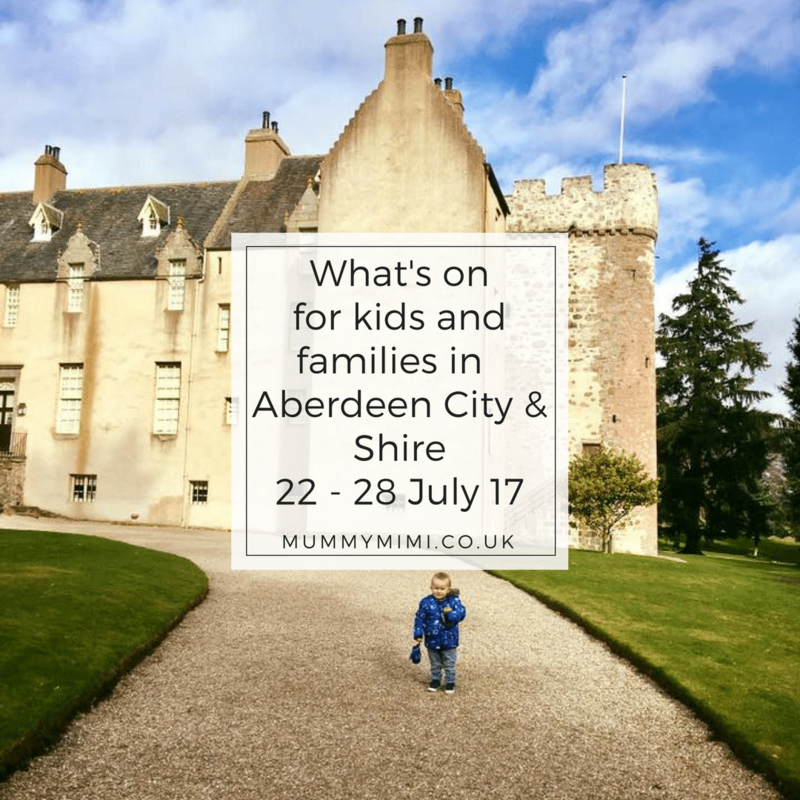 We’ve got loads planned for the little ones (and some older ones!) to get into the Scottish spirit! It’s FREE with your usual Outdoor or Dual Admission so make it a full family day out! Description: ACT Aberdeen are delighted to invite you to join us for a celebration of culture and diversity with a FREE day and night of fun, inspiring events and activities for everyone! WE ARE THE WORLD DAY is set to create a vibrant atmosphere with people from around the world and around the corner through arts, crafts, music, fashion, dance, food and much more. Throughout the day and evening there will be something for everyone! See the Facebook event link below for full details of times and activities! Description: Please join us for a weekend of activities to celebrate the year of History, Heritage & Archaeology. – Pipers: local pipers from Reid Pipers will be setting the scene with beautiful song. They will be piping throughout Haddo all weekend, a perfect setting for such atmospheric music. – Mesolithic Calendar: did you know the world’s oldest calendar was found in Aberdeenshire? Archaeologist, Dr Pete Klemen will be on hand to tell you about it. – Iron Age Settlement: the Rhynie Wifies will be at Haddo giving demonstrations on Iron Age living. – Vikings: the Vikings played an important role in shaping Scottish society. Carrick 800 will be at the Pheasantry giving demonstrations and making lots of noise. – Story-tellers: the Scots are known for being great story-tellers. Join Joan Anderson and Diana Peers at the amphitheatre for tales of north east Scotland. – Nature Detectives: there’s been a murder! Help solve the case in the outdoor classroom. – Medieval Blacksmith: Irons in the Fire will be at Haddo to give live blacksmithing demonstrations. – Jacobites: The Jacobite Squad are a team of reenactors who specialise in the Jacobite era. They will be doing battle with swords, guns and even letting you have a go! – Carriage rides: two stunning Clydesdale horses will be pulling a carriage through Haddo. For a small fee you can ride around Haddo as though from a different time. – Victorian Picnic: don’t worry if you get a little peckish. The team at Haddo House will be holding a Victorian picnic on the lawn. You will be able to buy a picnic to enjoy with your family, as Queen Victoria once did. – Library Service: Bringing us bang up to date, the Aberdeenshire Council Library Service will be in the Peatyards. They will show you how you can access loads of free online services. Description: A new mini-tour set in Torry covering almost eight centuries of history in one hour! Description: Try out tennis for free at Albury. All ages and abilities. Description: Princess Rapunzel loves to paint and draw come join her in a creative workshop. This is a drop off session therefore your child should be confident being dropped off. Description: Family Funday at the Farm! A Ticketing System will be in place with tickets available to purchase within the Shop at a cost of £1 each to be used to purchase bbq food and upon rides. Our cafe will be open all day with table service as usual. Description: Summer Dance and Sound/Visual Design Workshops. Performance at 17.00 on Friday the 28th. Tickets booked through Aberdeen International Youth Festival! Description: Learn about life in the trenches of the First World War and have a go creating a replica model trench take home. Suitable for ages 6+ | £3 per child. How to book: Please contact the Museum’s Learning Officer Lewis Gibbon via email: Lewis.Gibbon@gordonhighlanders.com or telephone: 01224 498922. The Museum has free parking onsite and free gardens. Refreshments are available in the Museum’s Duchess Jean Tea Room which has a range of light lunches, cakes and its own children’s menu. Description: Direct from a smash-hit West End and international tour, Michael Rosen’s award-winning book We’re Going On A Bear Hunt is brought vividly and noisily to the stage in director Sally Cookson’s fun-filled adaptation set to Benji Bower’s versatile lively score. Join our intrepid adventurers on their quest to find a bear; as they wade through the gigantic swishy swashy grass, the splishy splashy river and the thick oozy, squelchy mud! Expect catchy songs, interactive scenes and plenty of hands-on adventure. Recommended for ages 3+ | Running time: Approx. 55 minutes. Description: Try out lots of ways to hunt for our amazing Minibeasts. Help us empty the moth trap set up the previous night, see who is in the beetle traps and beat trees – gently of course – to dislodge their crawling creatures! Where: Meet at St Fittick’s Church on St Fittick’s Road. First Bus numbers 5 and 12 will take you to Blnagask Road. Description: Join Lina-Elvira Back from the Bumblebee Conservation Trust and Countryside Ranger Rob Rowe to discover more about the world of bees, their role in pollination, and how they live. Description: Limited places left for this show – pre-booking essential. If there’s sufficient demand, we will also put on a second showing at 4.14pm. Please call us on 01569-731320 to book your place. Description: NEW FOR 2017! Tractor Ted visits the Grampian Transport Museum and brings along lots of exciting things for visitors to see and do. They’ll be Bouncy Castle Tractor Ted, Digger Den, Welly Wanging, Activity Trails and so much more! Ticketing options to be announced. Description: Residents of the rock pools need to be tough as life is constantly changing and every tide may bring new arrivals. Join a Countryside Ranger at Cove for an opportunity to explore the rock pools, meet some of the rock pool residents and create some wild beach art. Meet at Colsea Road car park. First Bus number 3 will take you to Cove Road. Remember to bring wellies! Description: Join us for a tower building challenge with KNEX made for little explorers. Ideal for 3-5 years, Little Explorer Days offer fun, hands-on science based activities encouraging learning through play. Description: Join us at the museum to see and learn about some of the impressive medals awarded to The Gordon Highlanders during their 200-year history. Then using foam, plastic cups, pens and the magic of science you will be able to design and create your own medals to take away with you. Who will you award your creation to? Suitable for children 4-12 years old. £3.00 per child (no charge for accompanying adults). Description: Come for a watery adventure, collect natural treasures and (weather dependent) scramble into one of the most amazing places in the north east, the Burn O’Vat! Inside, we will make mini-rafts and dams, puddle jump and generally have fun playing in the water! Wellies and waterproofs strongly recommended (or a change of clothes). All adults to be accompanied by at least one child! Free admission – booking essential. Call Catriona Reid, Reserve Manager, on T: 01339 881667. We are delighted to welcome back the good folks from Zoolab and their wonderful creatures these summer holidays. Zoolab bring fascinating animals like snakes, giant millipedes, rats, tarantulas, frogs, and a few surprises. The expert Zoolab guide will explain all about these creatures (and also why we shouldn’t be afraid of them!). The kids will get the chance to get up close and maybe even to handle some of the animals. The National Trust for Scotland ranger will also have an arts and crafts table set up for the kids to make a little bit of a fun mess! For tickets call the castle on 01651 891266. Booking essential (it’s a very popular event!). Let’s hope the sun shines on us again! Description: Join Margaret, storyteller, for an interactive tale for ages 6 – 11: A Doggy called Bobby! Description: Disaster has struck! Collect clues and help Clare the Curator find the precious missing object. Age: 4-11 years | Children must be accompanied by an adult at all times. Description: Aimed at all ages. Local Singer Becca Morrice will be running her fun and exciting musical Monsters drop in workshops. AIYF: Extended Festival will once again be hosting a number of performances in the Deeside area.